Our outing took place on a fine late September Saturday and seventeen people took part, including three non-ringers. 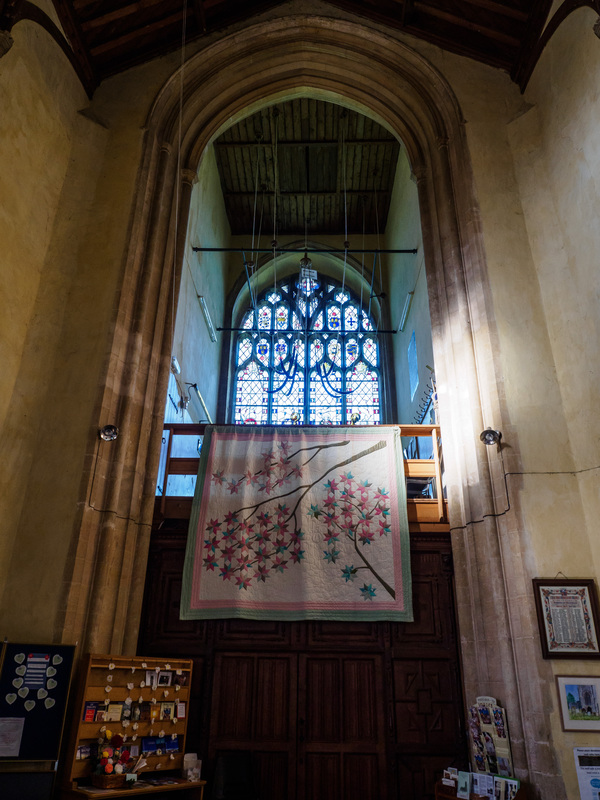 The towers of Scarning, Dereham and Swanton Morley were evenly represented and it was good to have an occasion for us all to ring together and socialise. Blofield – not as far up as we thought. The day began at Blofield, where from the outside we were immediately struck by the height of the tower. 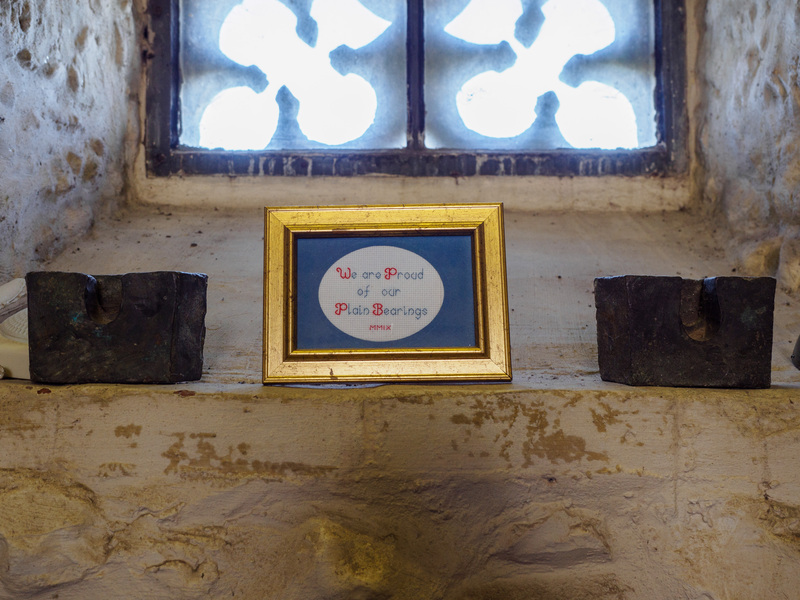 Those who feared a very long climb to the ringing chamber were relieved to discover that there is a light, airy room at the level of the large west window, much lower than we suspected. This means that the bells have a long draft, and although this was apparent when ringing, the bells handled well without excessive springiness. They also have a wonderful tone. The next stop was South Walsham, which is a short drive away on the other side of the A47. For some it was a longer drive than expected as the organiser had given them the wrong post code! In this case the crucial difference between a ‘4’ and a ‘6’ led the hapless victims to a farmyard in a different parish, south of the main road, from where they had to retrace their steps. Humble apologies were offered and, thankfully, accepted. 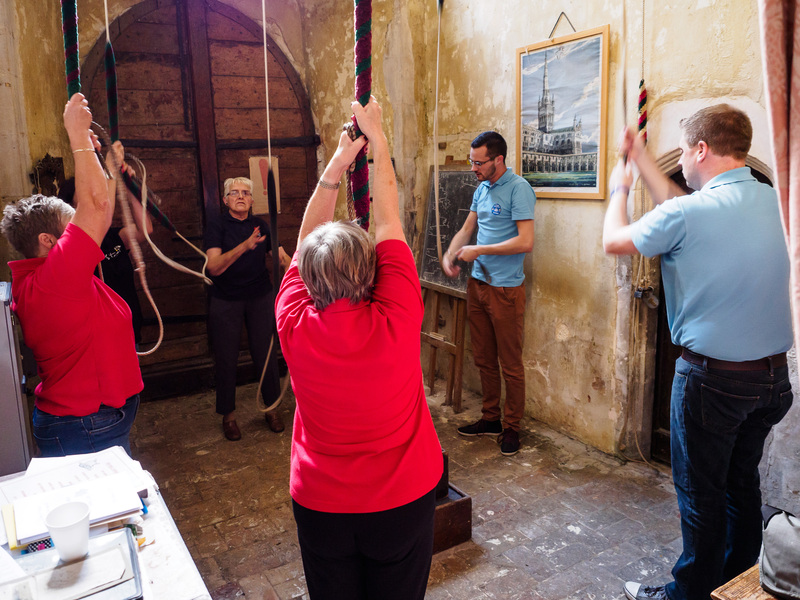 Once we all got to St. Mary’s we found a ring of six, very easy-going but far lighter than some of us are used to, particularly the Scarning and Dereham ringers, and it reminded us that sometimes you need a firm touch when handling a light bell. Lunch was at the excellent Ship Inn, barely a hundred yards from South Walsham church, which we left variously feeling that either a siesta or a short walk was needed before the next tower. Ranworth provided the chance for a stroll in the sunshine, a cup of coffee, and time to look at the wonderful rood screen in the church, which is said to be one of the best of its type in the country. Instead of being mutilated, the faces of the figures on the screen were painted over during the Reformation and it was later possible to remove the paint and reveal them in superb condition. I would be proud too.. 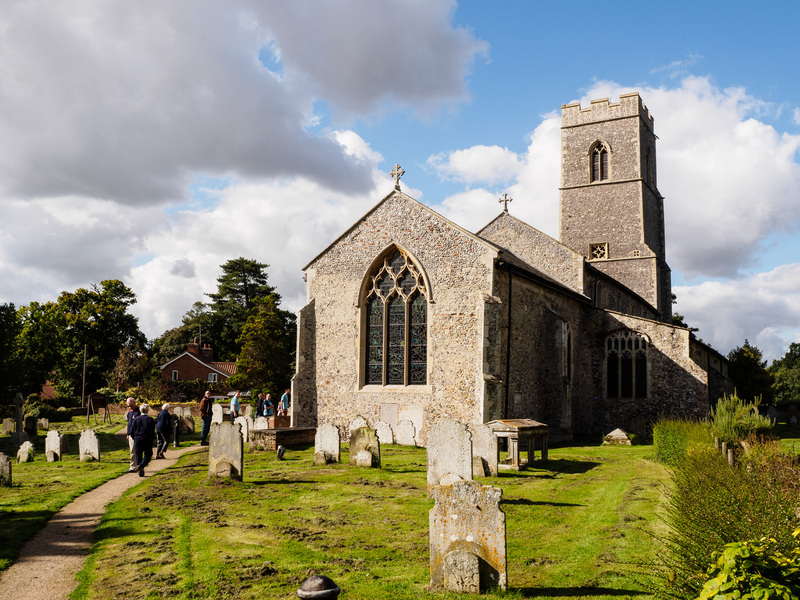 Anyone familiar with Ranworth church will know that it has a tall tower, and if my memory serves correctly I counted 53 steps up to the ringing chamber, which challenged the fittest of us. It was worth the effort though as it has a fine ring of six. 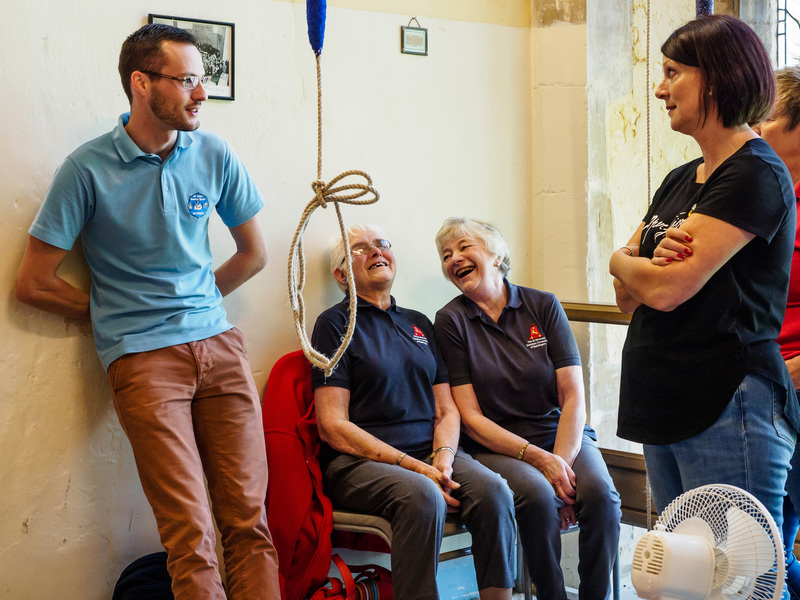 We learnt that the bells are on plain bearings and evidently they have been well looked after over the years as they swung so freely that you would have sworn that they were on modern ball bearings. Being a tall tower with a lofty ringing chamber there is obvious movement when the bells are in motion. 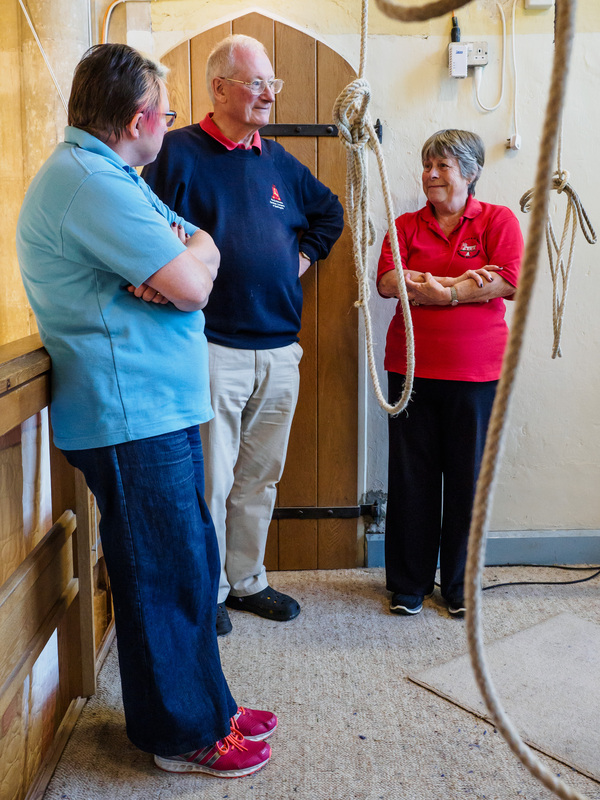 The last church on our schedule was at Coltishall, where the ringing chamber is up a more modest set of stairs. It is fair to say that all the bells we rang during the day were a pleasure but I think the Coltishall bells possibly handled the best. Either way it produced our best ringing of the day and we did some well-struck rounds and call changes and very respectable plain bob doubles to end on a good note. The only oddity about the tower is that the bells are really quite hard to hear from the ringing chamber. This meant that even quiet conversation interfered with the ringing and we didn’t have the chance to hear what the bells really sound like from outside. The road outside Coltishall church is quite busy and the proprietors of The Red Lion, just a few yards down the street, allowed us to park there whilst we were ringing. So naturally those of us who didn’t need to rush off went there for a drink afterwards before heading for home, tired but happy after a good day out.